The first ever blog post I wrote can be found here at my old work playground Shiny Entertainment. Don't let the by Stav fool you, this post was written by a young hairy Asian girl, not an old hairy Greek Cypriot man. If you want a crash course in the past 3.5 years of my life, you can read about the life and times of Shiny Jade here too. I went to visit the old Shiny office on Friday to catch up with Stav and meet the newbie - Jimmy Bollard. 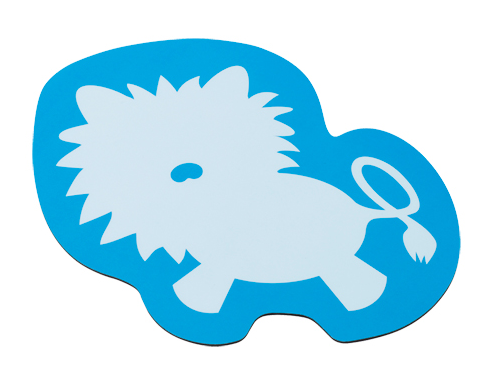 I wasn't sure what to get a young man-boy from Adelaide as a welcome gift so I stopped off at my ol' reliable Officeworks on the way over and found a lion (man) shaped mouse (boy) pad. Welcome to Shiny, Jimmy!